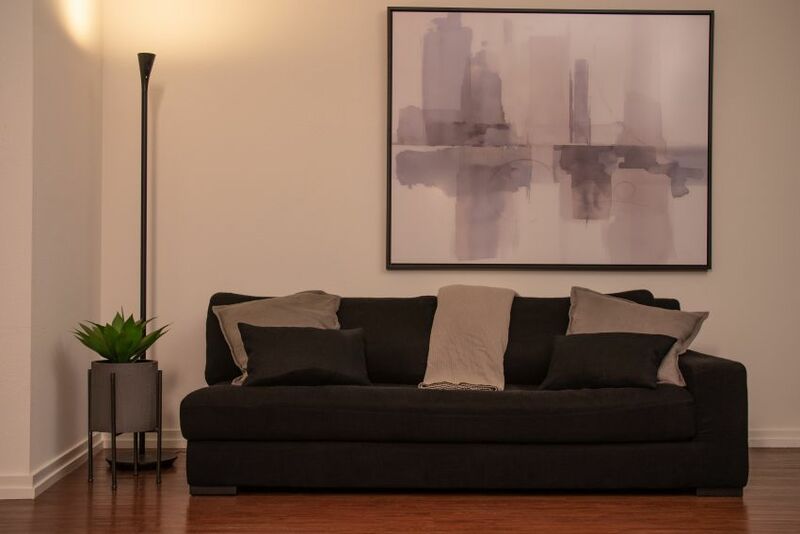 HomeHawk FLOOR is a smart home security camera disguised as a floor lamp. The Japanese consumer electronics company Panasonic is currently crowd-funding it at Indiegogo. There are a number of choices for indoor security cameras but this seems to be a pretty good alternative to the easily noticeable CCTVs. Introduced at CES 2019, it functions as discreet ambient floor lamp that can keep an eye on your home without any hassle. 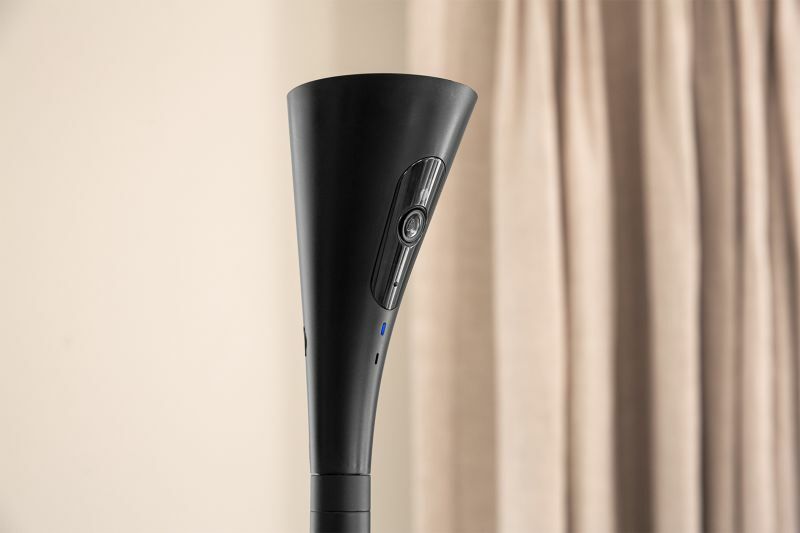 The HomeHawk FLOOR lamp has a number of features including HD recording, wide-angle view with a 140-degree lens, motion detection, color night vision, voice assistant integration and more. There are three height adjustable options, which makes it possible to set the lighting and camera at the optimal eye-level. The geo-fencing function allows you to automatically activate the camera as soon as you leave the house. Just plug-in the HomeHawk FLOOR lamp and it is ready to capture videos on a Micro SD card. There are built-in speaker and microphone for 2-way communication with lonely pets at home, as well as a battery to cope with power outages. The companion mobile app can be used to control it remotely from anywhere or can even be controlled with popular voice assistants. 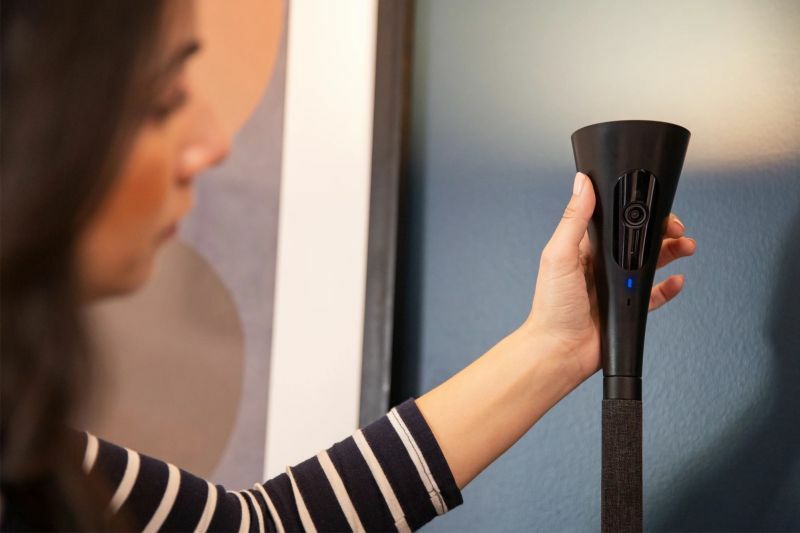 If you’re looking for a camera that hides in plain sight, captures high-quality video, works at night and has motion detection, the HomeHawk FLOOR lamp is the perfect choice for your smart home. You have to spend a minimum of $199 for the Indieogogo campaign to get one in May 2019.